When mothers have access to good nutritional education and a healthy diet, their children have the best chance to a healthy start in life. Our Mother & Child Healthcare projects are now complete and much has been achieved since we first set out on these journeys with our project partners. India has one of the highest number of undernourished children in the world; almost 50% of children below the age of three are malnourished. In 2011, the government of India recorded 18,486 deaths caused by malnourishment of children between the ages of 0-6 in Maharashtra state alone. Yet the solution is very practical and incorporates a multipronged approach of supplementary feeding, medical provision and education and capacity building of the community. As with much of our work, these projects were initiated in areas where the need is greatest due to the remote locations of villages and lack of access to healthcare facilities – in this case the tribal belts of Maharashtra state. We directed our support towards a supplementary education and feeding programme for mothers and their children. Not only have these projects reached many mothers and their infants, they have been successfully handed over to the local governments to ensure that a strong legacy remains. The Malnutrition Eradication Project provided villagers with a nutritional supplement of eggs (or soya milk if vegetarian) and high protein laddoos (a sweet made from flour and sugar) 2-3 times a week to severely malnourished children, through a method called Directly Observed Therapy (DOT). 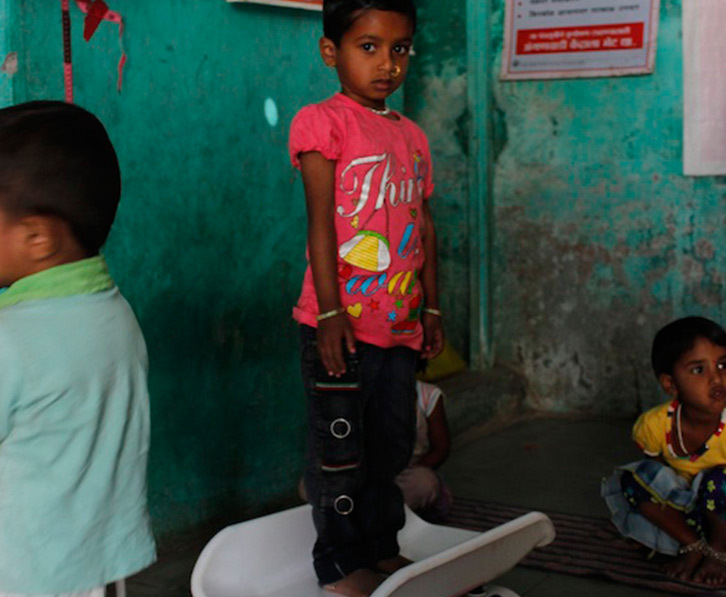 Over 8,122 children were screened across 34 villages. The simple intervention of the egg and laddoo DOT costs a mere 5 rupees per child per day, yet has saved these children from an unnecessarily cruel catastrophe, whilst engaging mothers in the continued development of their children. The results of this project are beautiful. I can say we have had 80% success rate which is fantastic. We supported 37 mothers and their babies on the Help a Mother Save a Baby (HAMSAB) project in the tribally populated area of Sanjay Gandhi National Park in Mumbai. The main goal was to ensure the child developed healthily within the crucial period from 3 months of pregnancy to the child reaching the age of 2. HAMSAB enrolled high-risk pregnant mothers onto the programme and routine checks were made through regular weekly visits by the project doctor. These mothers have since become peer leaders for other pregnant women in the community, guiding them through the process s of antenatal and postnatal check, healthy eating, hygiene and family planning. Beyond reaching these mothers and their children in their daily lives, these projects have also made a meaningful impact at the institutional level and we are delighted to announce that our withdrawal has been brought about in part by the growing presence of the government and its ownership and responsibility of this provision. 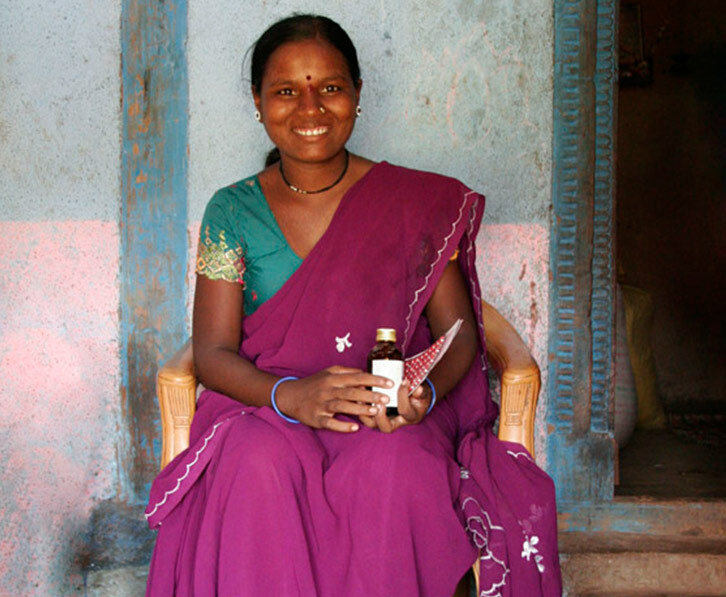 The Savitri Waney Rural Development Project (SRDP) was developed in collaboration with our partner OJUS, with the goal to train and mobilize village healthcare workers, nurses and traditional midwives to provide basic healthcare and mother and child healthcare to tribal populations in remote and isolated areas of Maharashtra. The project worked closely with 34 villages in the tribal Adivasi talukas (administrative divisions) Peith and Dindori of Nashik district. The project reached out to a population of over 20,000. An assessment study in September 2014 was extremely positive. The women reported improved access to medicines and medical staff, information on health and hygiene was gratefully received and supplementary food for underweight mothers and children. It was also noted that there was a huge shift in the attitude of the community towards the health of pregnant women and their deliveries; women are now registering with the local health care facility as soon as they believe they may be pregnant. In addition to this, the general attitude is now to seek help if there is any concern of a problem or health issue.